In the new edition of this widely praised text, Alan Aldridge examines the complex realities of religious belief, practice and institutions. Religion is a powerful and controversial force in the contemporary world, even in supposedly secular societies. Almost all societies seek to cultivate religions and faith communities as sources of social stability and engines of social progress. They also try to combat real and imagined abuses and excess, regulating cults that brainwash vulnerable people, containing fundamentalism that threatens democracy and the progress of science, and identifying terrorists who threaten atrocities in the name of religion. The third edition has been carefully revised to make sure it is fully up to date with recent developments and debates. Major themes in the revised edition include the recently erupted ‘culture war’ between progressive secularists and conservative believers, the diverse manifestations of ‘fundamentalism’ and their impact on the wider society, new individual forms of religious expression in opposition to traditional structures of authority, and the backlash against ‘multiculturalism’ with its controversial implications for the social integration of ethnic and religious minority communities. 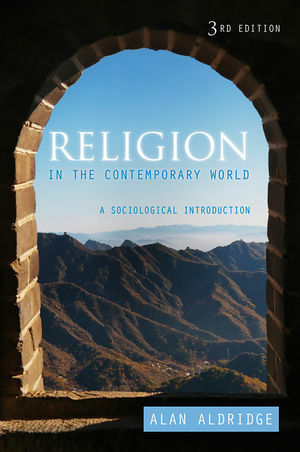 Impressive in its scholarly analysis of a vibrant and challenging aspect of human societies, the third edition will appeal strongly to students taking courses in the sociology of religion and religious studies, as well as to everyone interested in the place of religion in the contemporary world. Alan Aldridge is former reader in the sociology of culture at the University of Nottingham. "This is a well-written and concise book and a thoughtful insight about the meaning and purpose of religion and religious belief for a contemporaneous and social society. This would be an important read for students and scholars interested in the sociological narrative and should certainly be a primary source of reference for those interested in why religion continues to hold its persuasive force."